Planning to upgrade? Which device better suits you! One of the major concerns for nearly everyone now days is the question they ask themselves when buying a new device. We have sadly past the era where you were the cool kid having that 15″ Laptop in a cool black carry case, instead of having to carry that everywhere you go has become such an inconvenience! Who would have thought right? Especially 10 years ago! With the advancement of technology (Some facts) where processing speed is doubled every 18 months! What does that mean? There is a big chance your device will be outdated in 2 years and will need upgrading. Now we ask ourselves, which device is best suited for my lifestyle. The range of devices (if we include smartphones) start from the processing power of 1.3Ghz Dual Core, 5″ display, to 8 Cores 3.5Ghz, 27″ display (UHD as well). The range of computers also includes built-in all in once desktops, the normal desktop personal computer, smartphones, tablet pcs, slate/hybrid, smart tv’s and recently adding to the list, smartwatches. So you are in the market? Let’s see which will be best suited for you! So the veteran goes strong and will not go down without a fight. These bulky machines have come a long way, so much so, weighing 2 – 3 KG’s 13 years ago to weighing below a KG a couple years later. These are perfect (and a cheap) alternative for office computers that will be used as a terminal. If that person only requires the computer at a certain time and will have no need to take it away, then the desktop pc is perfect. We see these in libraries, banks, and retail outlets etc. When we think desktop pc we always think cheap, not the case. Majority of gamers and graphics animators do a lot of gaming and editing on desktop PC’s, simply because these are easy to open up, upgrade your components and have enough space to install what you require. The laptop was launched to do everything a desktop can but just have the added feature of being able to carry around. These devices prove very useful for people on the go and at the same time need the features and processing power of a desktop pc. Laptops are around 40% more expensive than a desktop just for the mere fact that it is portable! If you are on the go but are able to get a comfortable spot when you are out to sit and work in peace, then I suggest the laptop will be a perfect device for you. If not, we got the next device for you to read about. Tablets have had humble beginnings, or… something along those lines. Tablet computers were used long before they became commercialized. So, why a tablet? If you need to do everything that you need to like we mentioned in the laptop section, but you need it done urgently and you have no place to set up, then this would be the ideal device. * This device is small enough to hold but big enough to get the job done. * As mentioned above, the processing power of devices has a remarkable transition. Tablets have more processing abilities than the majority of the computers from 8 to 10 years ago. * Takes a sim 3G LTE/Wi-Fi, these little babies can connect easily to the internet allowing you to have a great way to view those presentations emailed to you and you’re on the go. * Processing power not as fast as a desktop pc. * Apps are limited as catering for these devices are one thing software developers struggle with. Wow, the Cohiba’s of the technological age. Yes, we are talking mammoths, unicorns, hybrids. A hybrid/slate is basically a device that has similar processing powers to a desktop pc and laptops but has the friendly user experience of a tablet AND can be SWITCHED easily to a laptop mode. Slatesarejust bigger than tablets but packs a punch. 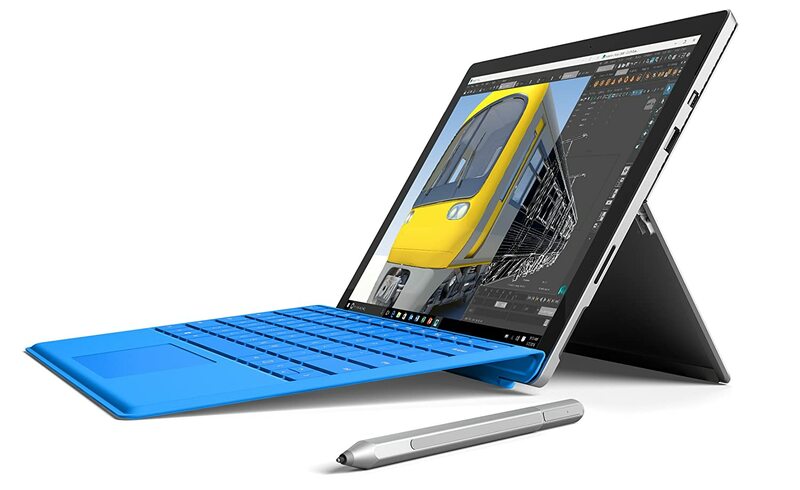 Some devices that come to mind when we say slate are Microsoft Surface and Surface Pro, Apple Pro and the Lenovo Yoga Tablet PC. These are suitable for the person who requires quick methods of any computing tasks such as taking notes, writing, editing presentations and then can easily switch to their keyboard mode to type out that report, document or email. * Great Processing power, equivalent, if not better than some desktop and laptop PCs. Next Post When will my phone get Android Pie?